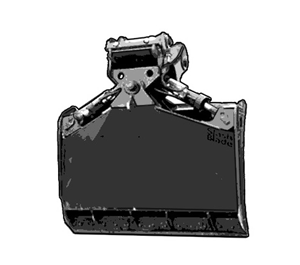 The Kenco Slab Crab is a pavement removal bucket specifically engineered to expedite the removal of asphalt, concrete roadway and bridge decking. 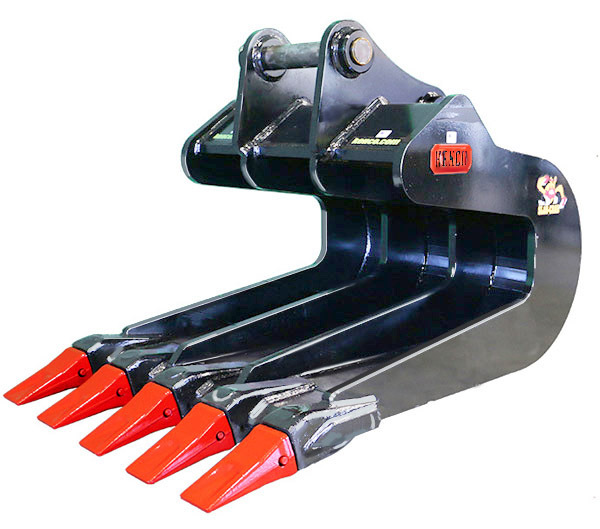 The Slab Crab’s unique design allows the operator to have complete control over the slab during the removal and loading process. 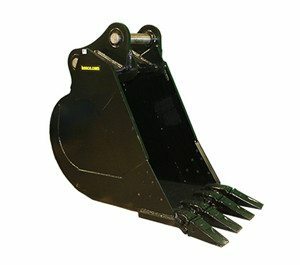 This pavement removal bucket has a flat bottom which allows the operator to remove bridge decking in tight quarters, and it allows for removal of road decking without disturbing the subbase. 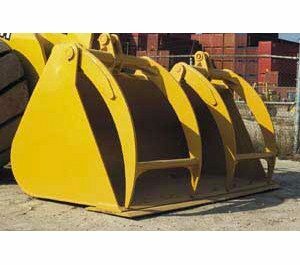 The excavator operator is able to utilize a cantilever effect by tilting the Slab Crab which allows the slab to easily slide into the opening of this pavement removal bucket. 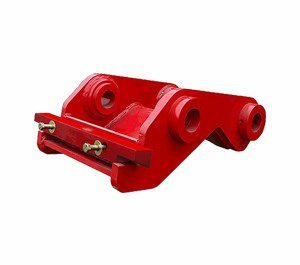 The tapered opening makes it easy for the operator to acquire the slab and that same taper enables the Slab Crab to accommodate a great range of thicknesses. 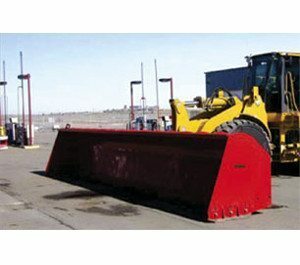 Once a slab is obtained, the operator can simply lay it on a flatbed, place in the back of a dump truck or stack it in a desired location. 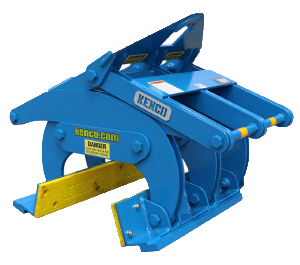 With contractors reporting that the Kenco Slab Crab increased productivity by 80% or better, it’s easy to see why this attachment should be in every company’s equipment arsenal. 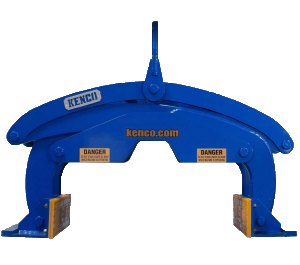 Kenco offers a variety of pipe lifting equipment. 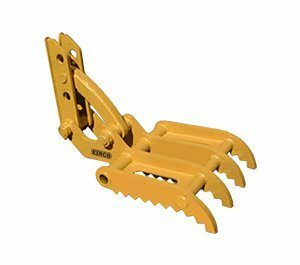 Whether its concrete, ductile iron, pvc, corrugated, steel, terracotta or the like, Kenco has you covered. 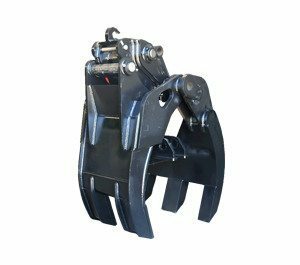 The Pipe Lift’s design allows each model to handle multiple pipe diameters. 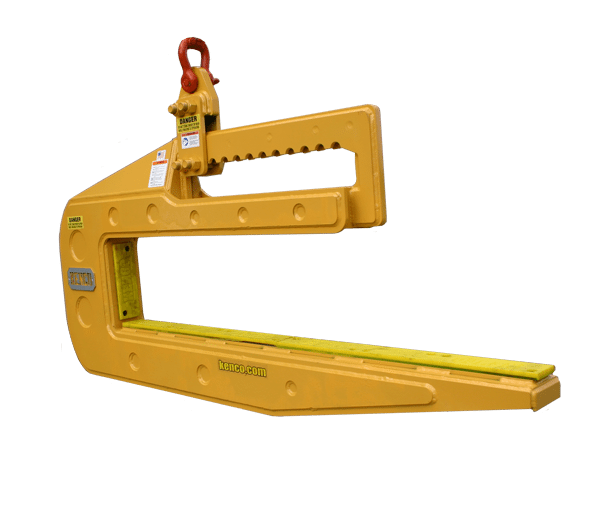 Not only does it safely lift but the operator can use it to push the pipe together. 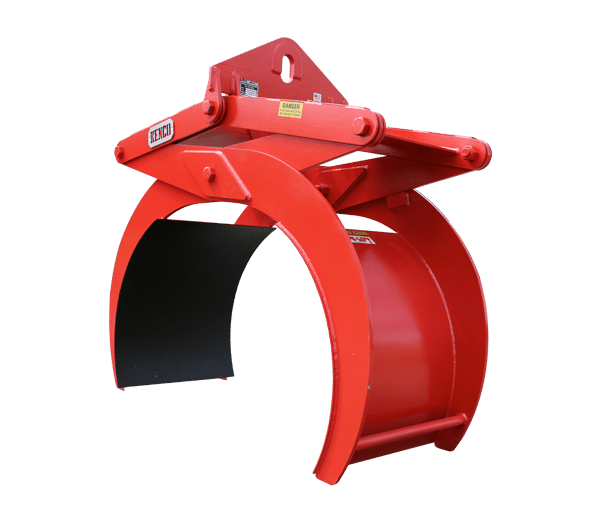 Since the Pipe Lift is automatic, there is no need to have a laborer in the ditch to disengage the lifter from the pipe once the joint is installed. Now that’s productivity. 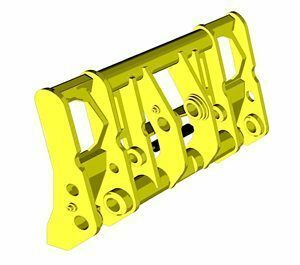 Say you have pipe dimensions that fall outside our standard models. 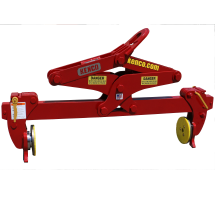 No worry, Kenco’s engineering department is second to none and will gladly design the lifter you need. 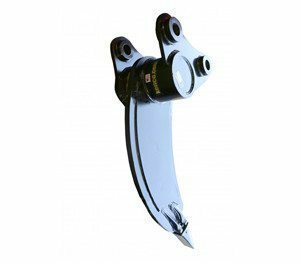 From standard models starting with 4” pipe and the largest to date being a custom model for 142”, the possibilities are endless. 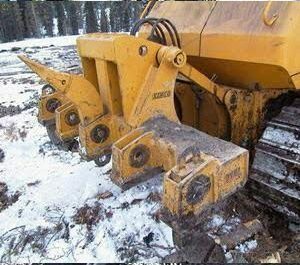 Looking for another option to move pipe? 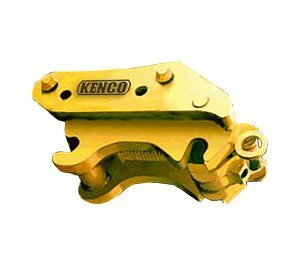 How about the Kenco Pipe Hook. 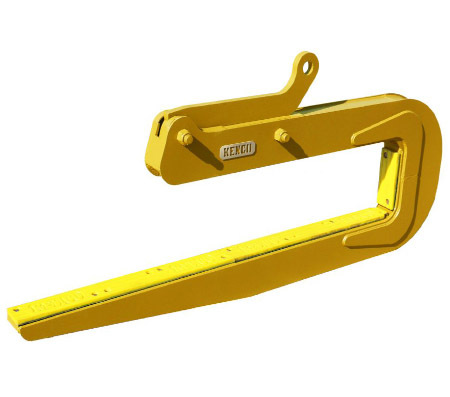 This pipe lifting attachment basically looks like an elongated “C” or its sometimes referred to as a hairpin. Regardless of the analogy, the design is simple and very effective. 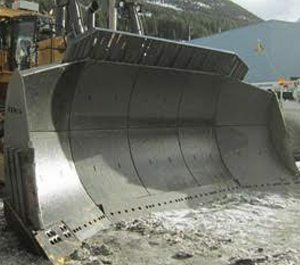 The operator slides the lower section into one end of the pipe and lifts. 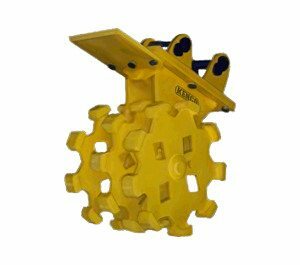 To make the process easier on the operator, our clever engineering staff has replaceable polyurethane pads on all “Pipe” contact areas. 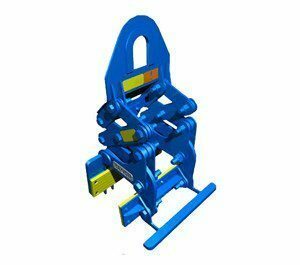 Each model of Pipe Hook has a very generous range. 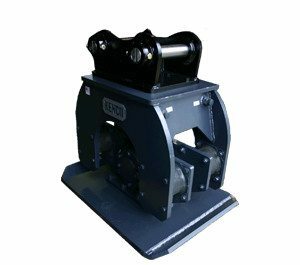 The smallest starting at 10” and the largest exceeding 60000 pounds. 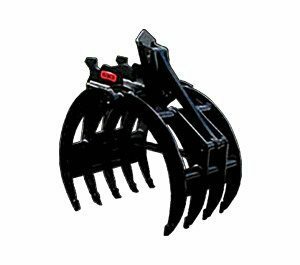 Safely increase productivity. Seriously, what’s not to like here. 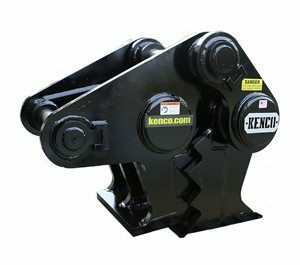 Well, Kenco also offers a Super Lift, that when equipped with the correct bolt on tine set, can move just about anything. Rocks, logs, brush, barrier, block and you guessed it, Pipe. 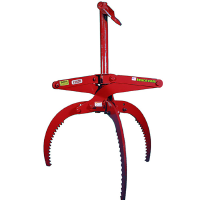 Each Super Lift model offers 3 pipe tine sets that cover just about anything. If not, let us know what you have, our engineering staff is up to the challenge. 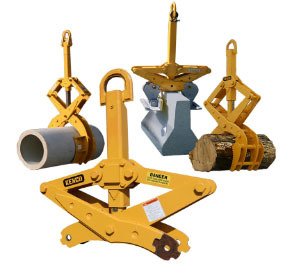 When it comes to equipment used to lift pipe, Kenco has you covered. 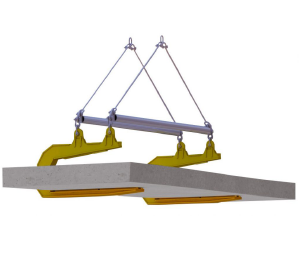 There are many construction companies that use a precast concrete system instead of pouring concrete on site. Production of precast concrete is used in a wide range of applications including architectural panels, free-standing walls, landscaping blocks, capstones, security walls, barriers, and pipe. Forming the precast concrete is completed on the ground level, which increases safety during the process. 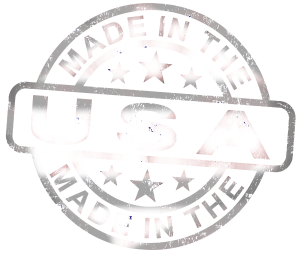 There is more control of the quality when the system can be completed in a precast plant rather than on a construction site. 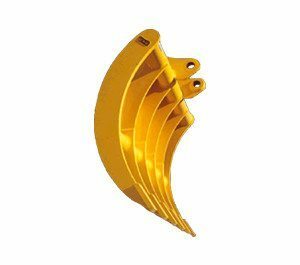 Also, the forms that are used in a precast plant can be reused many times over, which allows for lower cost of formwork when compared to that of casting at the job site. 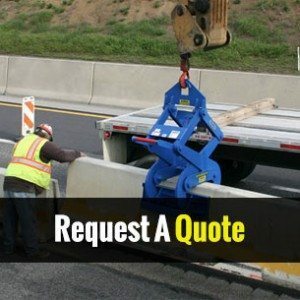 Lifting, moving, and positioning the precast concrete systems can be quite cumbersome due to the weight, size, and shape of the object. 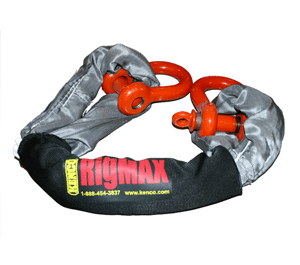 Maneuvering a concrete pipe or panel to attach the lifting straps can be just as burdensome. 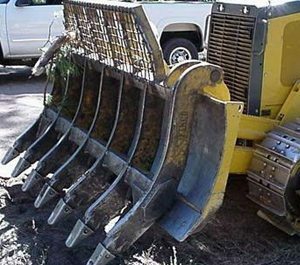 Fortunately, there are other options available for contractors who prefer a more productive method when handling these materials. 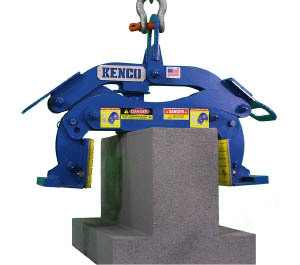 Kenco Corporation manufactures a wide range of precast lifting devices and attachments that are specific to the needs of the precast concrete worker. 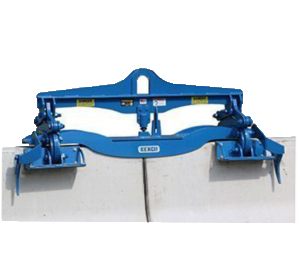 A wall system can be transported to the job site in a horizontal position, lifted off vertically and then placed into position using the innovative Panel Clamp. 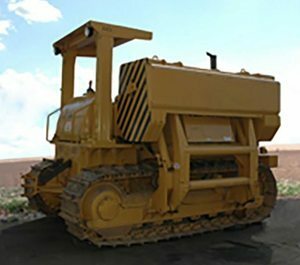 A Pipe Lift can be used to grab, lift, and set concrete pipe directly into the trench. 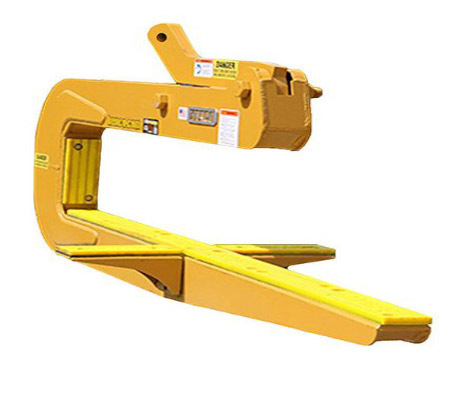 Jersey wall and other security barrier wall systems can be easily moved using the Kenco Barrier Lift. 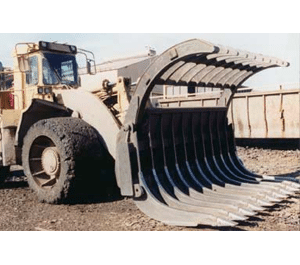 Many of these actions can be accomplished with just one machine and one operator. 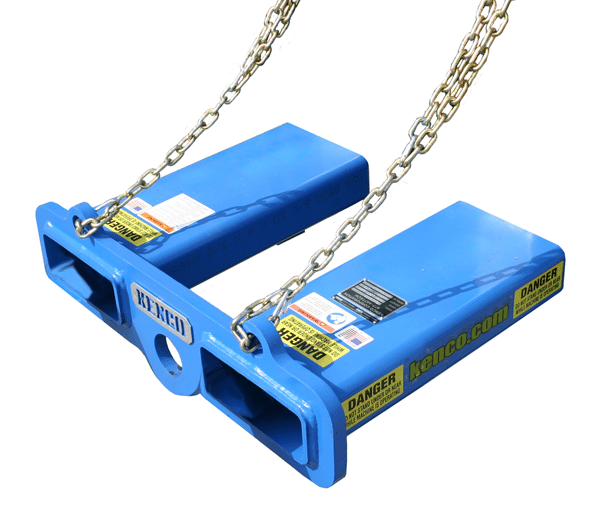 These are just a few of the precast lifting devices that Kenco has designed and engineered to enhance the capabilities of the precast contractor. 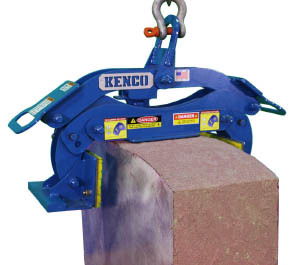 Kenco prides itself on making the job of contractors who use precast concrete easier, more productive, and more cost effective.